Konami Digital Entertainment will release Legendary Duelists: Sisters of the Rose, which will introduce brand-new cards inspired by past heroines of the Yu-Gi-Oh! manga and anime series. Release is set for January 11. Legendary Duelists: Sisters of the Rose includes cards inspired by Mai Valentine and Akiza Izinski. Fans of Mai�s Harpie Lady strategy from the Duelist Kingdom tournament will have new cards to add to their decks like Elegant Egotist. The release includes 56 cards: 29 Commons, 10 Rares, 8 Super Rares, and 9 Ultra Rares. Each pack contains 5 cards. The Yu-Gi-Oh! TCG Advent Calendar was announced earlier this year, originally set to release on October 26 (see �Konami Plans 'Yu-Gi-Oh! TCG Advent Calendar'�). It will now release on November 2. The Yu-Gi-Oh! 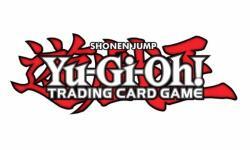 Trading Card Game Speed Duel Starter Decks were originally set to release on November 30 (see �Speed Dueling Comes to 'Yu-Gi-Oh! TCG'�). The decks will now release on January 25.